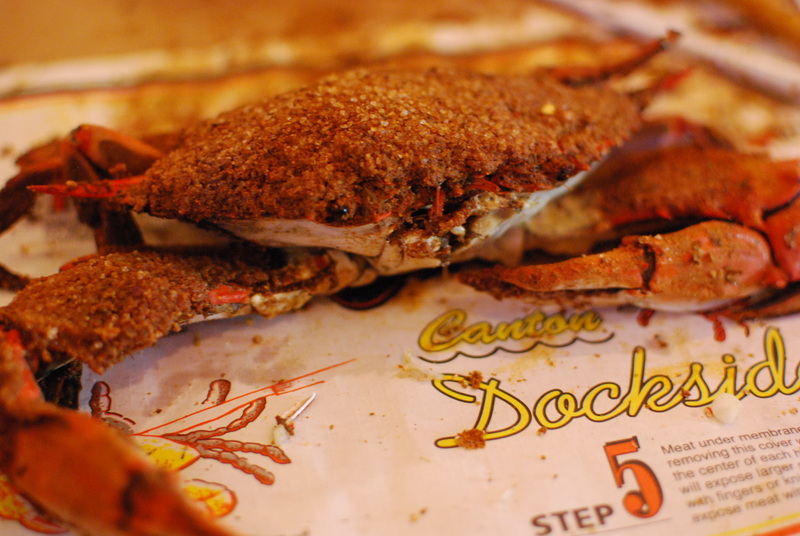 More than any other food, Maryland and thus Baltimore is known for our crabs. 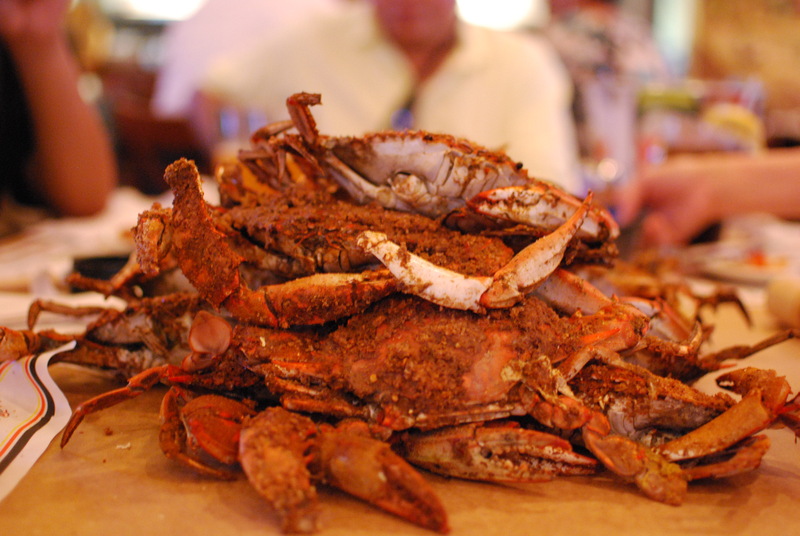 Maryland Blue Crabs as found here are like nothing else. 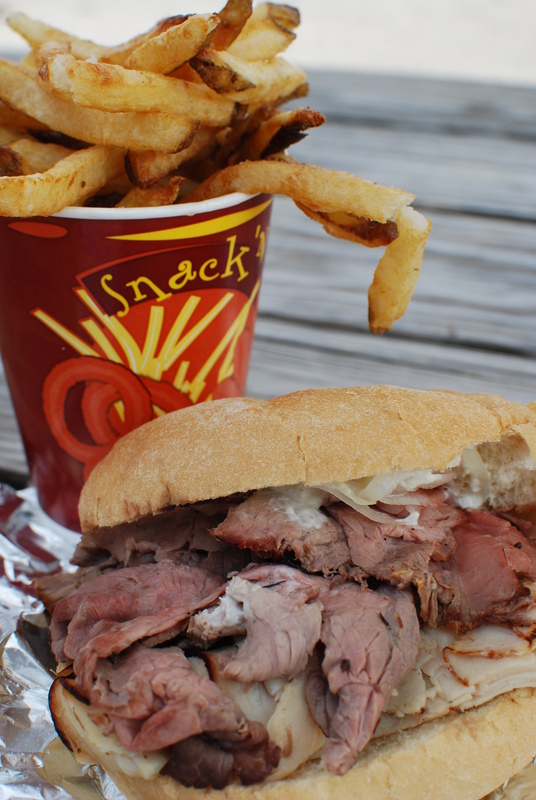 The meat is sweet and succulent, and when steamed Maryland style is unmatched anywhere on Earth. 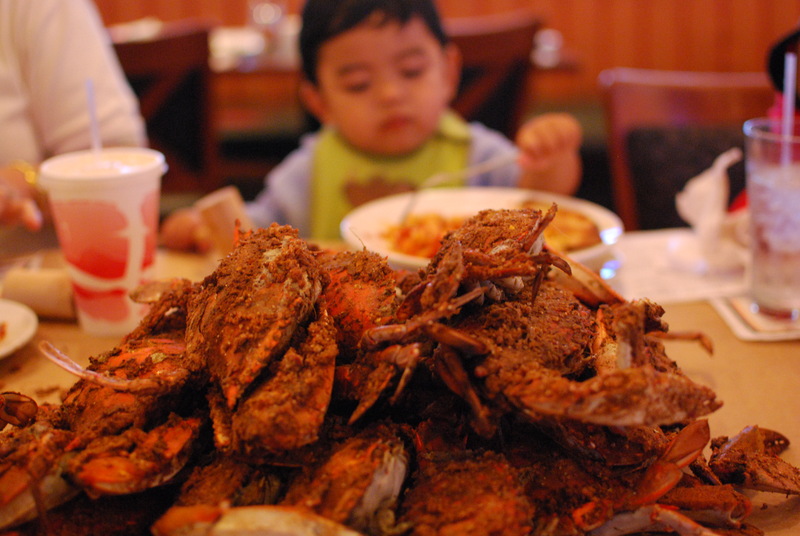 I remember eating at several “seafood” restaurants and even Chinese buffets in Southern California where the crabs were literally cut in quarters and boiled in soup. I cannot even continue this memory because it is very upsetting. This is how they should be. 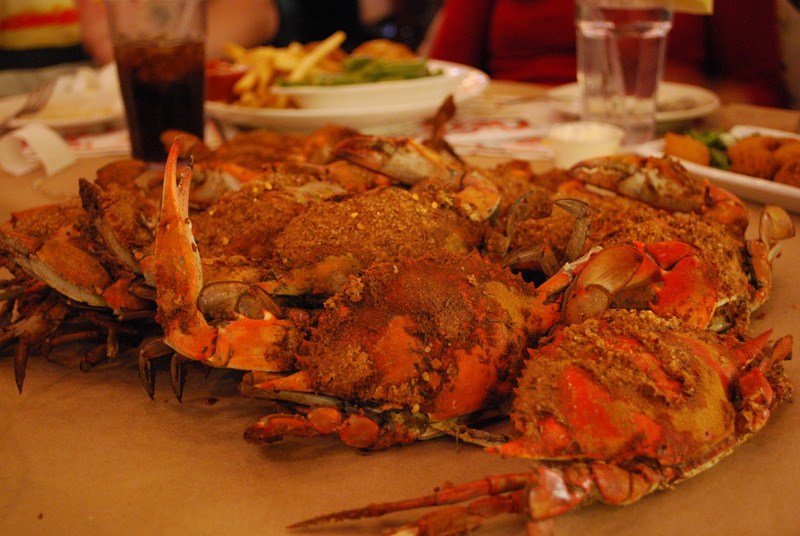 Traditionally steamed live, with beer and Old Bay seasoning, crabs are usually laid out on plain brown packing paper on tables throughout the summer. 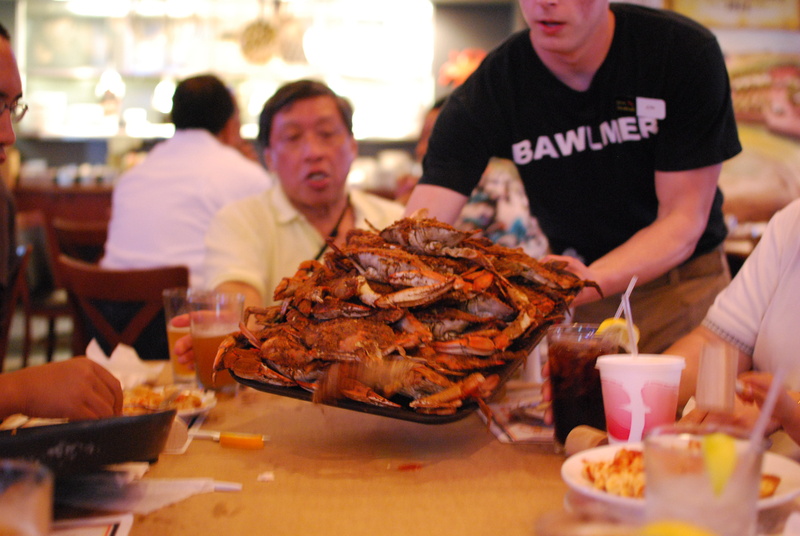 While amateurs use multiple apparatus to dissect these heavenly crustaceans, Marylanders are adept at dismantling these shelled morsels by hand. Mallots for claws only. 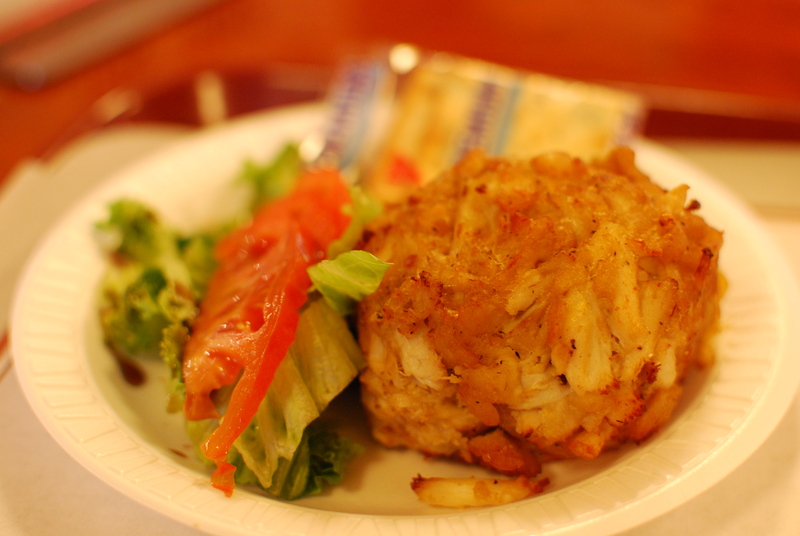 There are no crab cakes outside of Maryland, only shadows and poor imitations. When my wife worked in Upstate New York, we once went to dinner and the waitress raved about their mini crab cake appetizers. Now I’m sure they may have been the best she ever had, but what we ended up eating were shredded bits of crab flavored strands, bound together with lots of curry flavored breading. Another time in California, someone highly recommended the “Maryland Crab Cakes” she saw at Costco. I shudder. 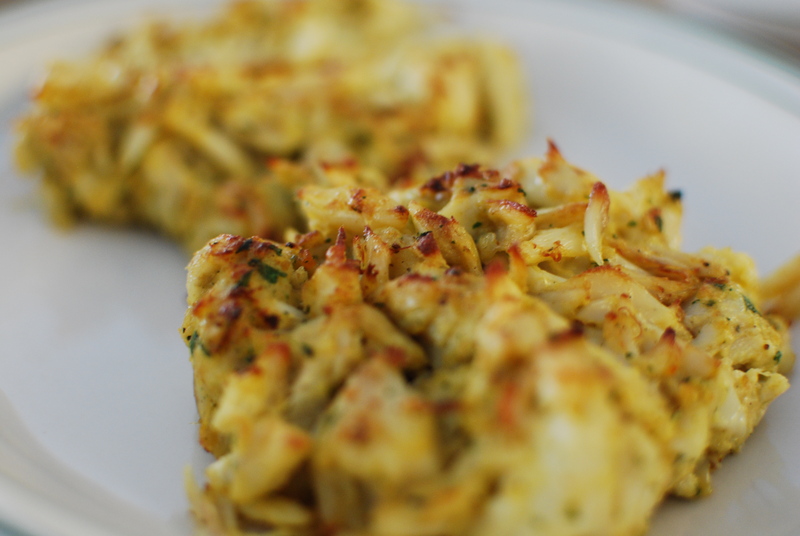 Maryland crab cakes are best made with backfin or jumbo lump, usually held together with minimal ingredients, flavored with Old Bay and then fried or broiled. 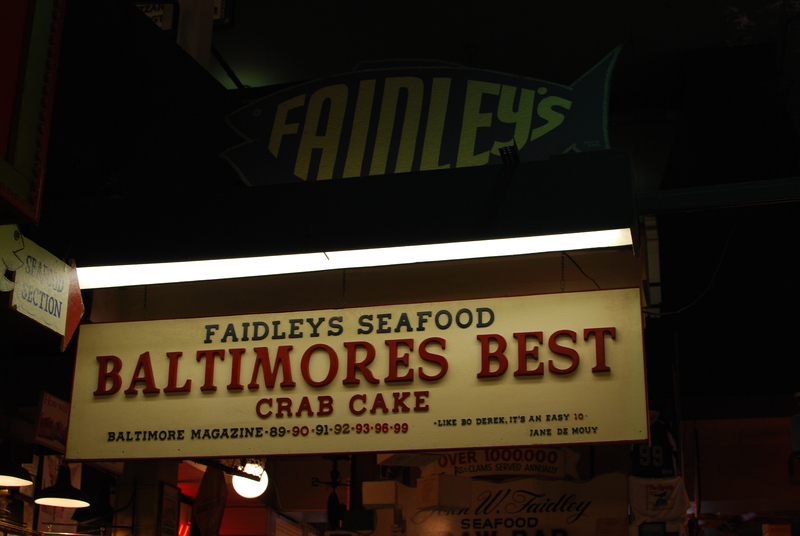 Faidley’s is the Baltimore City standard, but in my book Koco’s is pretty great too. 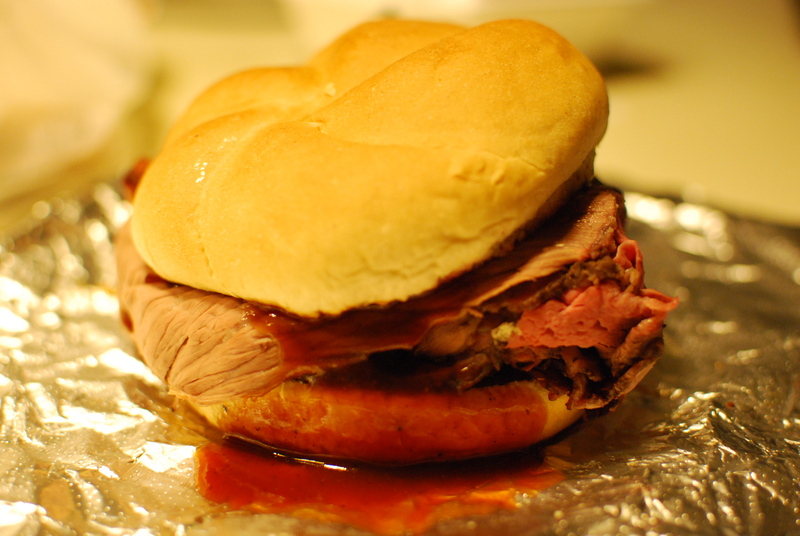 Baltimore Pit Beef is essentially just sliced smoked top round heaped on a Kaiser Roll. 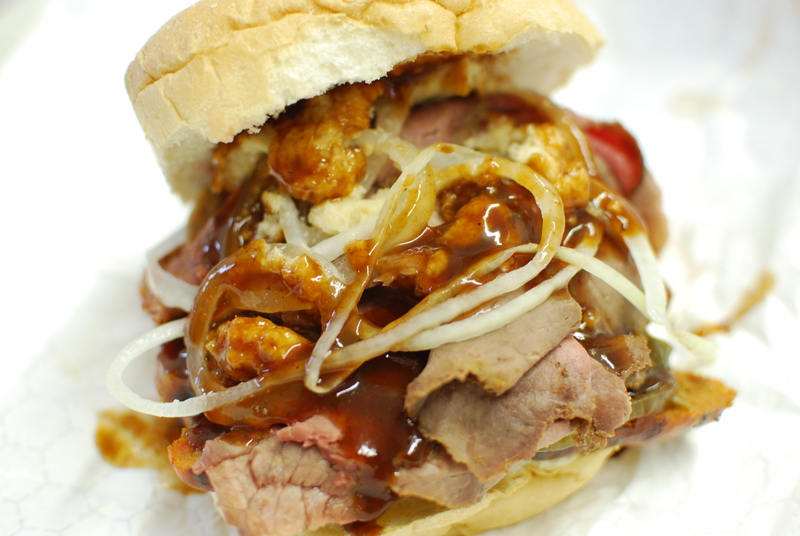 Critical toppings include onion, barbeque sauce and Tiger Sauce (mayonnaise and horseradish). 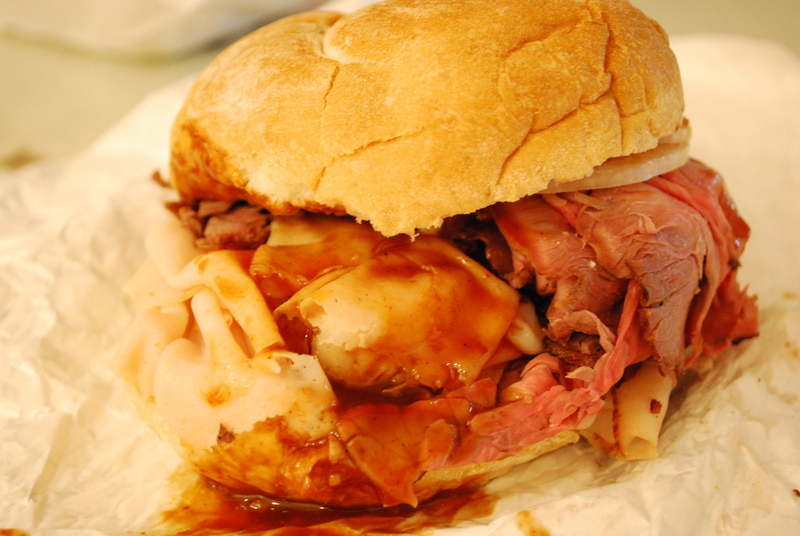 Nothing fancy, just juicy tender beef on a roll. 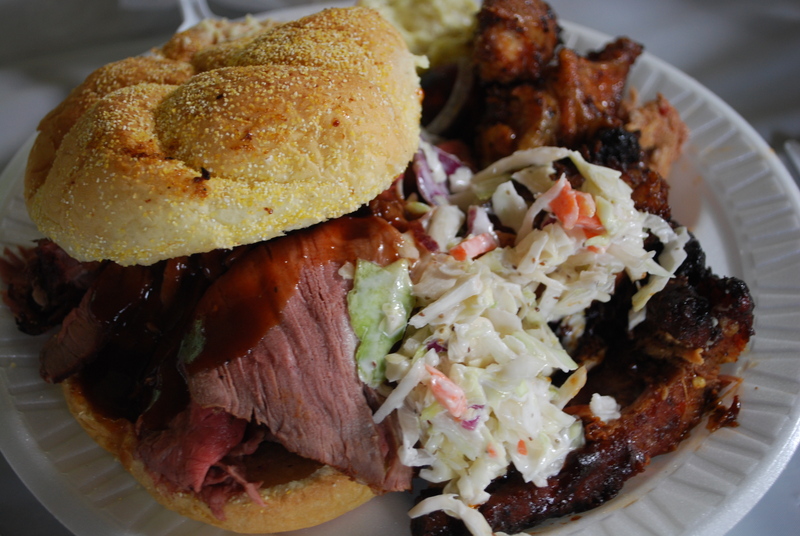 Bulldog from Jake’s Grill, Pit Beef and smoked sausage. 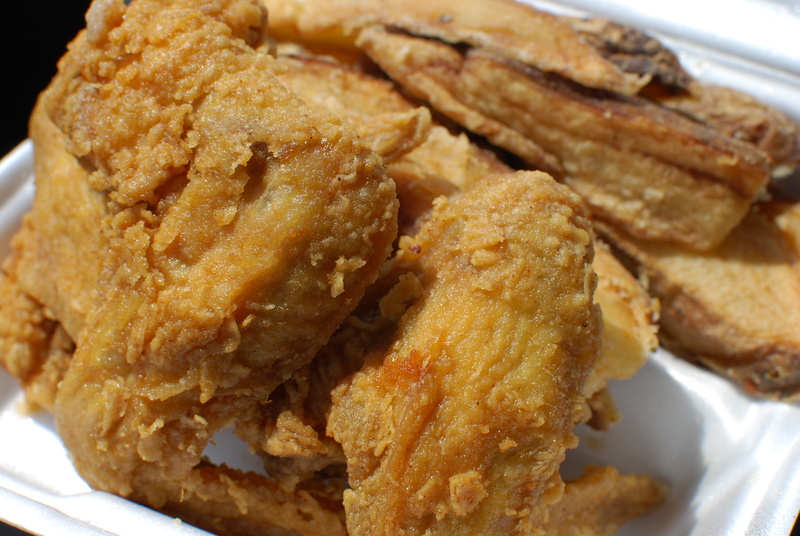 Baltimoreans love seafood, and when they’re not eating crabs, crabcakes, cod cakes or shrimp salad sandwiches you can also find us eating fried fish. 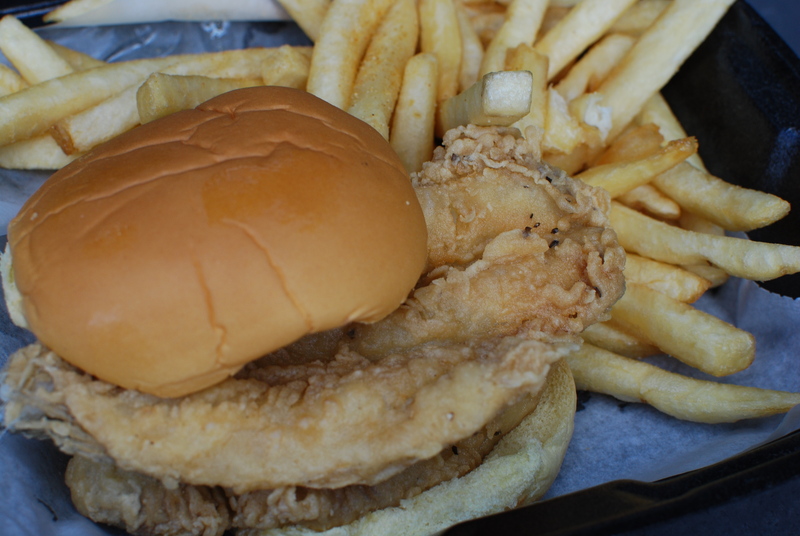 Lake Trout, erroneously named to describe deep fried Atlantic Whiting is usually served with fries or on white bread in a sandwich. Common accomplices include hot sauce and Old Bay (as usual), soda, Half and Half or wings. Lake Trout is found abundantly throughout the Baltimore area, usually at small mom and pop fried chicken places. 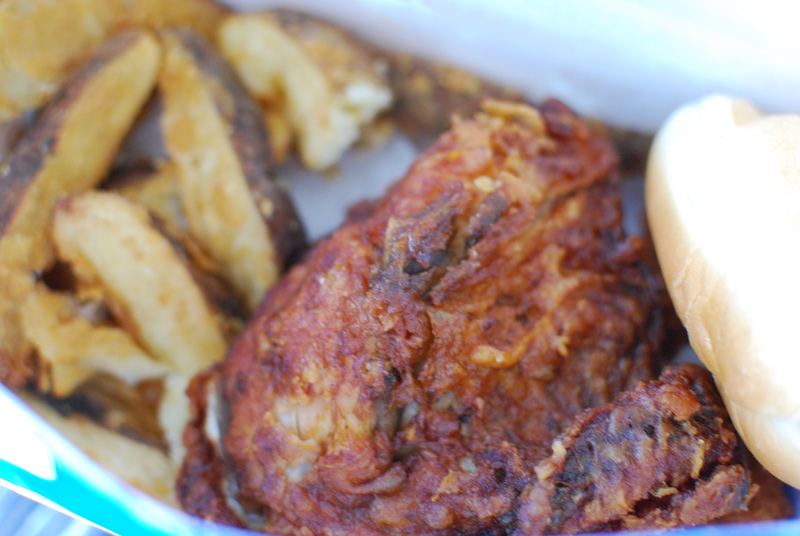 Chicken Box just refers to fried chicken wings (or other pieces of fried chicken) with fries, but more regionally either boardwalk style fries or potato wedges. Usually eaten with hot sauce, mambo sauce if you’re from DC and sometimes fried rice if purchased from one of the hundreds of thousands of Chinese food carry out places is Baltimore that also have awesome fried chicken wings. 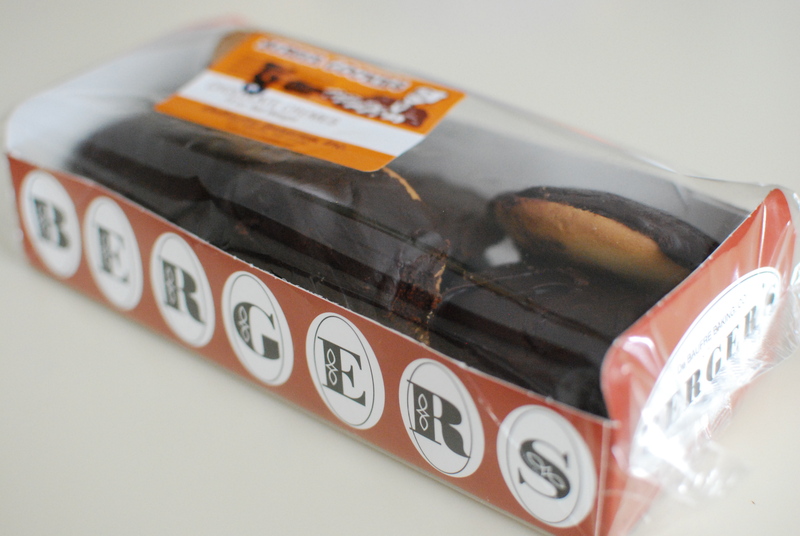 Berger Cookies are fudge topped shortbread cookies that are basically morsels from heaven. 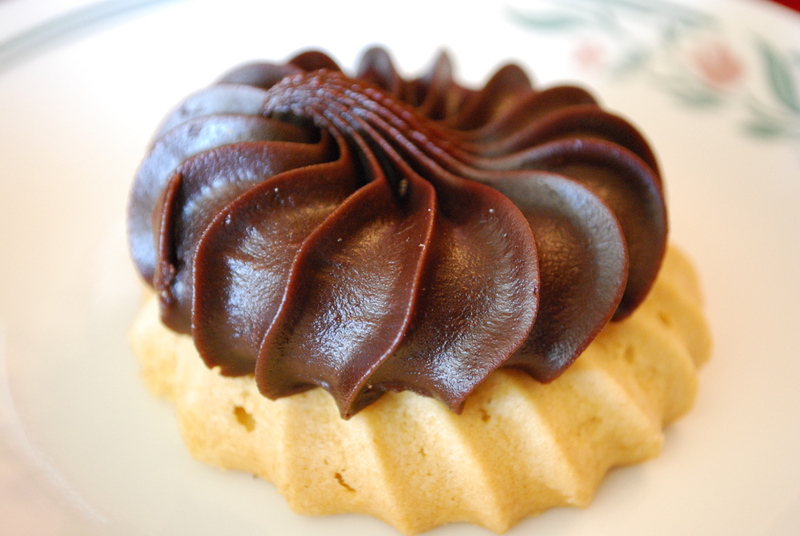 One of their equally legendary iterations is the Chocolate Top (aka Chocolate Drop aka Chocolate Topped Cookies) found at Italian bakeries, grocery stores and Amish markets. 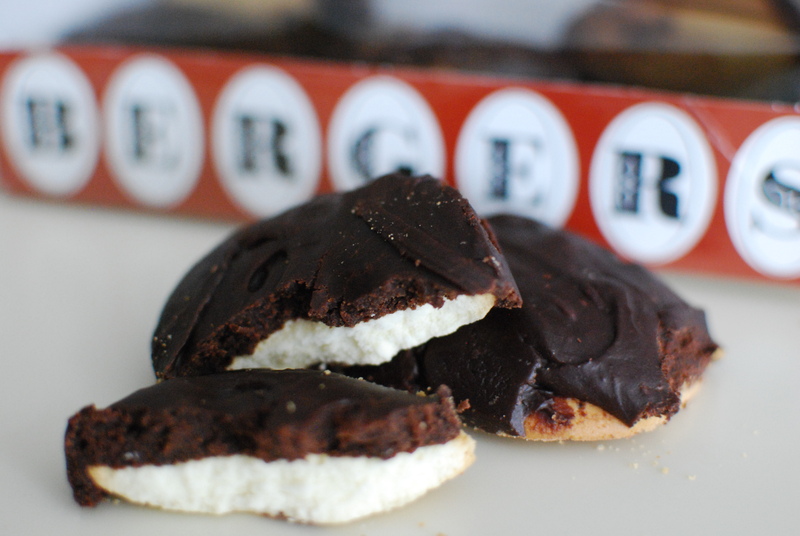 I had no idea that this simple treat that my Nana used to make for me was unique to Baltimore. She would put a soft peppermint stick (soft like sugary as opposed to hard like a candy cane) into a cut lemon and just let me drink the lemon juice, sweetened as it passed through the peppermint stick as a straw. I miss her, and miss those days. I made one recently at home, and it wasn’t nearly the same. National Bohemian developed an almost fanatic following in the past few years, and in my opinion with good reason. 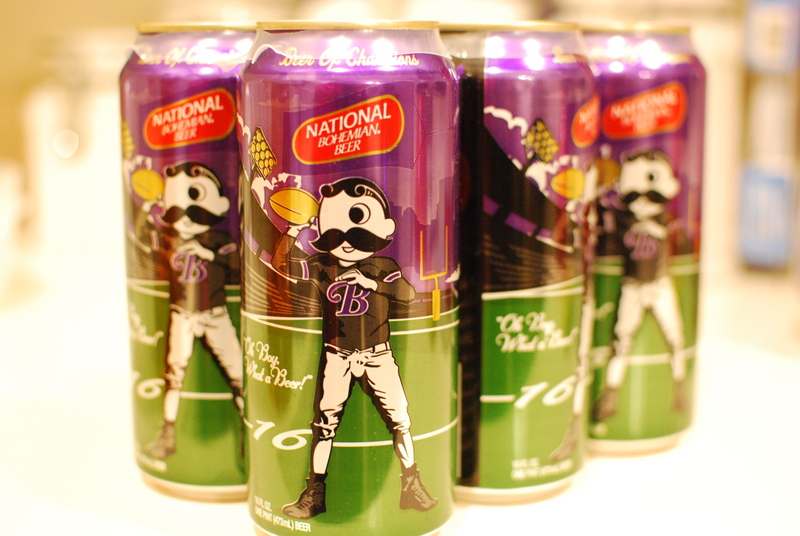 Once produced in Baltimore, Natty Boh is a light beer with good, sweet flavoring. The fact that it was a local beer, and on the cheaper side made it a staple in the city. Now with the boom of foodies, food blogs, beef aficionados and self-proclaimed wine experts, combined with Baltimore pride make Natty Boh a beloved treasure.